These days more people are investing in the house interiors in order to make them more lavish and attractive. One of the major parts of the house interiors is the window drapes and blonds. Both of them are considered one of the best ways to keep your house interior always new and refreshing. 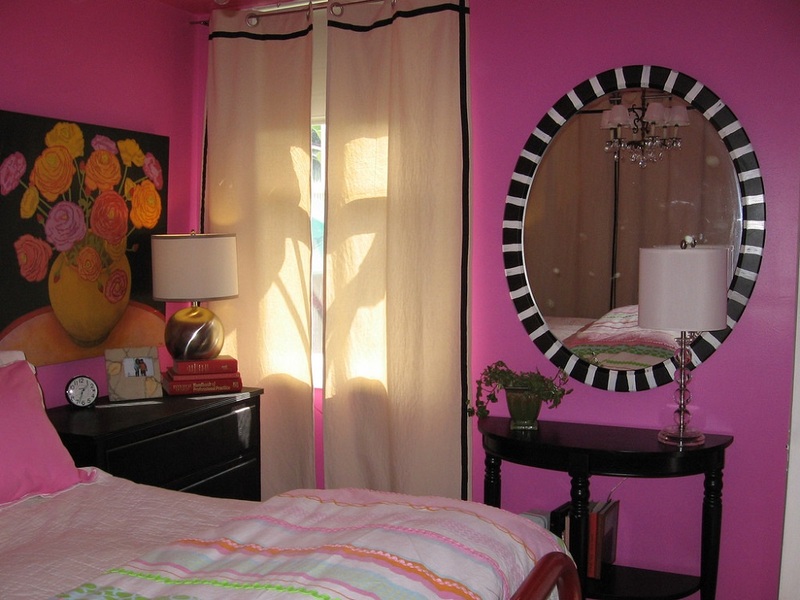 However, drapes in particular used for giving your windows an all-new look and style. Custom drapes are something that will more suitable for your windows because you will be able to enhance the overall look of your windows and make them more attractive and eye catchy. Custom drapes are much better for your home if your home is already filled with various design elements. These days markets are flooded with a wide range of the custom drapes and blinds that could be suitable for every kind of room. It is up to you to choose a drape that better suits your home interiors and make it look more ravishing and refreshing. If your room has windows that offer direct light to enter in the room then you may choose drapes with dark hues and patterns. Other than that if your room has a window that offers partial sunlight to enter the room then you may go for the drapes with light hue and shades. All this is been done to control the intensity and density of the light entering your room. Drapes are not just installed to control the amount of the light entering the room rather they are installed to enhance the look of your windows and make them look outstanding. In most of the homes, drapes have become an important home decor element that has various patterns, textures and good for covering the windows. One of the best things about the drapes is that they are very common in the homes that have various design elements while most of the other homes use window blinds to cover the windows. The most artistic thing about the window blinds is that they serve both the purpose of controlling the density of the light and providing a ravishing look to the windows but installing the window blinds is a tedious job in comparison to the drapes. Installation of the window blinds require the digging, and dwelling in the window frame and adjoining wall so that they can be installed perfectly, on the other hand, installing the drapes is much more easy because you are not required to do a high amount of digging and dwelling in the windows rather you just need to place the drapes on the bar above the window frame. Custom drapes give you an enormous opportunity to make your home a dream home by decorating with your own style and colour. These drapes are also a great way to show of your artistic side to others and impress them with your skills. Why Is Hiring A Professional Air Conditioner Maintenance A Good Idea? When you buy an air conditioner, you make a good amount of investment. Probably you would want it to stay in good condition for a long period. Your AC will stay in working condition only if you do proper maintenance. Now speaking about maintenance it is a general idea to try the do-it-yourself method as it seems more appealing than hiring a professional due to cost. But to be honest, one cannot do the right maintenance of an air conditioning system without the right knowledge. It requires the assistance of a trained pair of eyes and knowledge to rectify the problem areas and do the exact services for the machine. Only qualified technicians can do that successfully. Therefore it is only reasonable to hire a professional AC maintenance service provider. 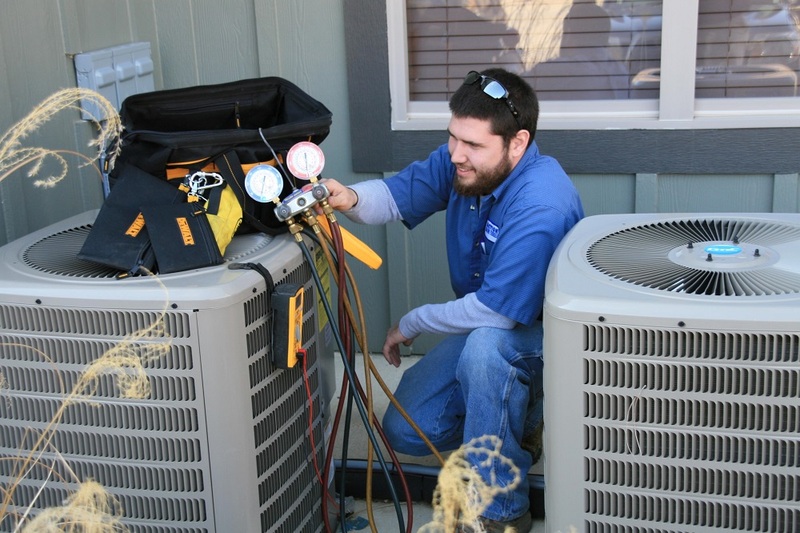 Professional technicians are trained to find issues in your AC system and to work with them. They know exactly what has to be done with your air conditioner. It is their job to help you out with a suitable solution and give you better tips. This will ultimately save your time as it is not possible for us to know all the technical things related to AC maintenance. Since they are educated to work with lots of different types of air conditioning systems they can easily tell the issues and work methodically to save unnecessary time consumption. From checking refrigerant level to electrical components, they are extremely thorough and precise. This is why they are capable of finding potential problems in no time. If you have this concept that professional service means lots of money involved, it is a wrong concept actually. When you hire a professional person, they will save your time, effort as well as money in figuring out the damage or doing the right maintaining service as per requirements. But if you feel like doing it on your own, you may end up making lots of unnecessary expenses just to fix a simple issue. If you take early care, it may save huge expenses in the future. Advice, tips, and guidelines come from professional service providers. In order to prevent future damages or maintain your AC for longer period advice from a trained person is required. This will help you to better understand the mechanism of your air conditioner and keep it well maintained. You will get proper instructions and tips to follow about various parts of your AC. Finally, it could be said that air conditioners can break down frequently if not properly taken care of. Hiring a professional AC maintenance service provider will give you annual maintenance. You may discuss the annual service plans as per your time schedule. Many reputable AC maintenance service providers cater services in maintenance, installation, and repairs. You can call them to fix an appointment and they are always ready to help you promptly. To ensure a longer life for your AC, go for professional services from trained and proficient companies. Who Can Help If You're Locked Out of Your House? Are you locked out of your house? This is the most irritating situation one can ever face. It is very frustrating too when you get locked out of your house at the most important time. When such is your situation, you need to keep calm and think of the easiest way to unlock your house. Here Are Some of The Ways in Which You Can Get Inside Your House When You Find Yourself Locked Out. If you have trusted friends or family members living nearby, you can always give them a spare key. If an unfortunate situation occurs, you can get their help immediately. Also, make sure that you completely trust and know the person well to whom you are giving your spare key. When the door is locked, and you cannot find a way to get inside, try to walk around your house and see if any door or window is open. If you can climb through an open window, you are lucky. Many houses have backdoor and windows unlocked for easy entry in times of need. Although this is not advisable to keep your house unsafe, still it proves really helpful in such situations. Neighbors can be very helpful when you are locked out of your house. You can ask for a coat hanger or a screwdriver to help you out with the unlocking operation. Your neighborhood friends may also lend you a hand in opening the locked door or help you with a locksmith’s number. 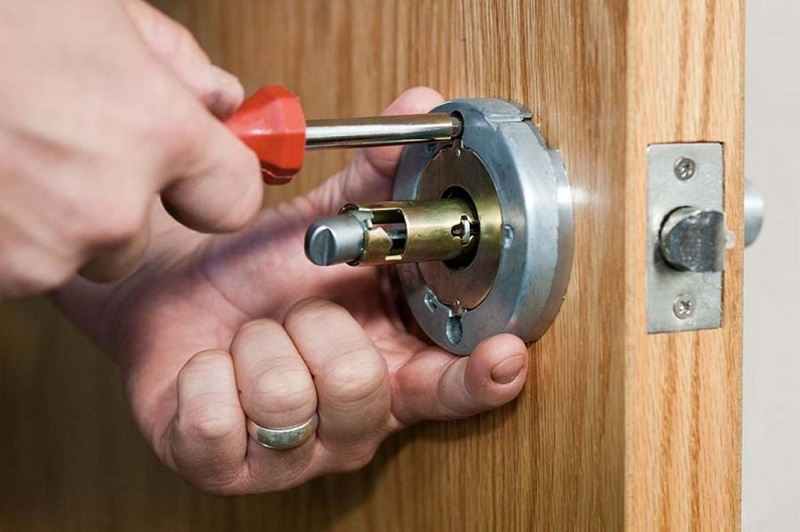 Get in touch with some of the reputable locksmith who is capable n providing instant help during an emergency. Asking for a locksmith’s help may cost you, but it is also very effective, and one does not have to break their doors. A trained locksmith will do the work smoothly and in no time, you will get inside your house. To know more info, talk to the best locksmith service provider today. If you call a locksmith, you might not have to remove the doorknob. 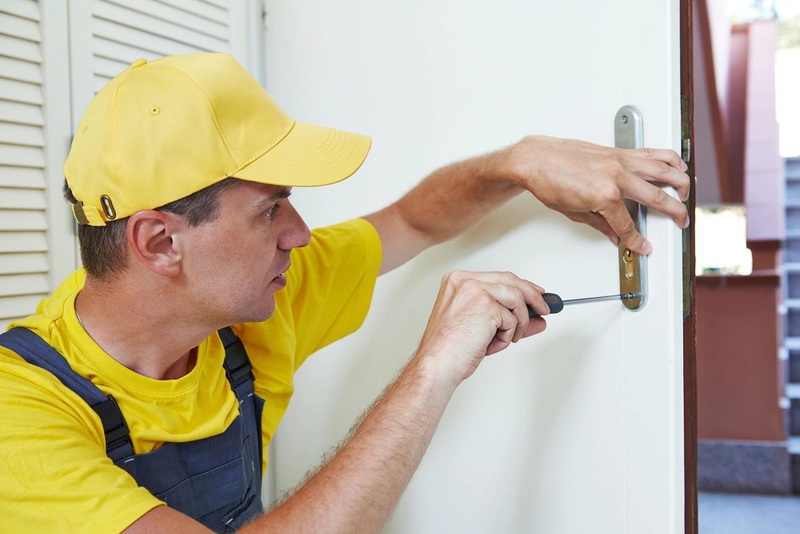 But sometimes when removing the doorknob is the only way you can do so by using certain handy tools such as hammer, screwdriver, pin, nail, knife or a paperclip. If you have a smart lock system installed in your house, then it is a great way to save yourself from any hassles such as getting locked out of your house. This is because your smart lock system is always connected to any of the smart devices such as a phone or tablet. You can gain access to your lock system through the devices and can keep your password of the lock system safely stored in your phone or other smart devices. Imagine yourself that you are standing outside your house and you cannot open the door. Totally a messy situation, right? When this happens all, you can do is follow the above-mentioned tips to help yourself out of the situation. Using simple tactics can be very fruitful that may open your locked door. And you can always call a locksmith to help you out. How You Can Remember Important Things That You Need to Do? Today we are living in a world where everyone is busy doing their routine chores. Life has become so fast that nobody even finds time for themselves. Despite the fact that technology has done wonders to bring people together and get rid of long distances, we still don’t have time to socialize or spend time unwinding with family and friends. With such fast-paced life and everyone having to deal with lots and lots of stuff on a daily basis, it is common for people to forget doing important tasks. It’s only after the time has passed that they realize they have missed out on something really important. So, what’s the solution then? Well, there are quite a few options that you can try to remember important things that you need to do. Let’s take a look. For work-related stuff, using an online alarm clock like set online alarm would be a great choice. These alarm clocks require you to set an alarm for a specified period of time and then remind you with a certain sound of your choice about any important task that you might have to do at that particular time. You can even use these alarm clocks for waking up in the morning. However, that may not be the most practical choice because it will require you to leave your computer system or laptop turned on all night. So, it would be better to take advantage of these alarm clocks only when you are at your desk. This one is probably a more viable solution to remember important things that you have to do. We all have smartphones today and there are plenty of reminders apps available for both iOS and Android on the respective app stores. All you have to do is to do a bit of a review for different options available and then download the app that you think will fit best to your needs. These apps come with plenty of useful features and can be a great way of remembering the important stuff. They even offer a calendar and an alarm feature that both combine to set reminders even for the future. Yes, you can always write things down and make sort of a manual to-do list for yourself. Just make sure that you carry it with you wherever you go. Also, keep checking it from time to time so that you may not miss out on something important. Though an old-fashioned approach, it still works and can be an effective choice to achieve the end result. Yes, if you have a sharp memory, you can even try to memorize things and do everything when the time arrives. You can even use some natural foods like almonds to improve your memory. If this works, you don’t really need anything else to remind you of your important business. And if you maintain a record in mobile then make service your mobile phone regularly so that the save date remain perfect. So, these are some of the important options that you can try for remembering important things that you need to do. You can try all of them in combination or one at a time to make sure you’re right on top of your schedule.